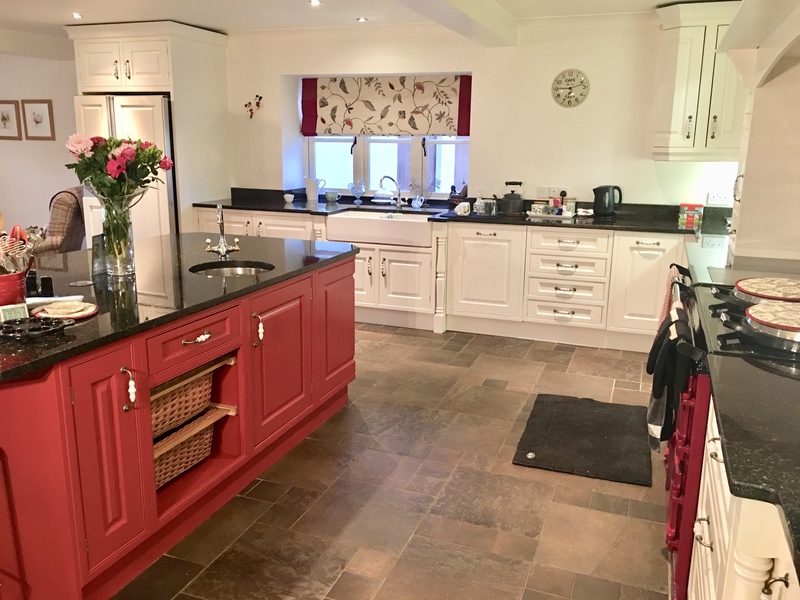 Check out these stunning painted kitchens created by our specialist kitchen painter Lindsay, to find inspiration for designing a two-tone kitchen in your home. Want to add some dark tones while maintaining a light, airy feel in your kitchen? Use a deeper shade in just one area, and keep the rest of the units pale. Vibrant bright colours can work well too. 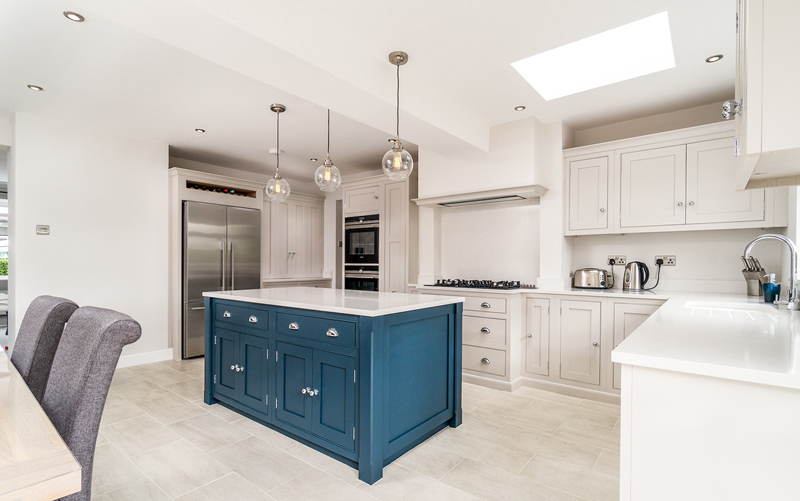 Here, a wall of light grey cabinets makes the room feel bright and spacious, while the dark blue island adds a sophisticated element. The two hues help to offset each other – one lightens the mood; the other gives the space some depth. If you want your wall units to fade into the background, it helps to give the eye something else to focus on. Here, the blue island and base units provide a low framework for walls that look more like a living space than a functional kitchen. The eye is immediately drawn to the black base units, which help to keep the kitchen grounded. 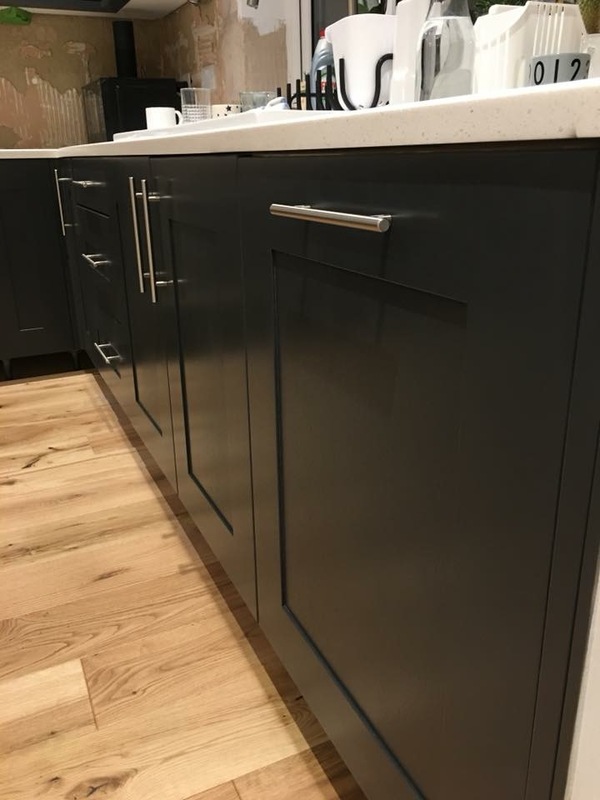 For an instant shot of sophistication, you can’t beat dark cabinetry. Moody colours give a sober, grown-up feel that can make a space feel seriously chic. Dark and dramatic, or light and bright? 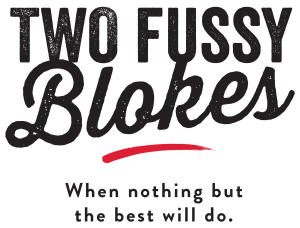 When it comes to choosing your kitchen units, it can be hard to decide. What are some of the benefits of going on the dark side? 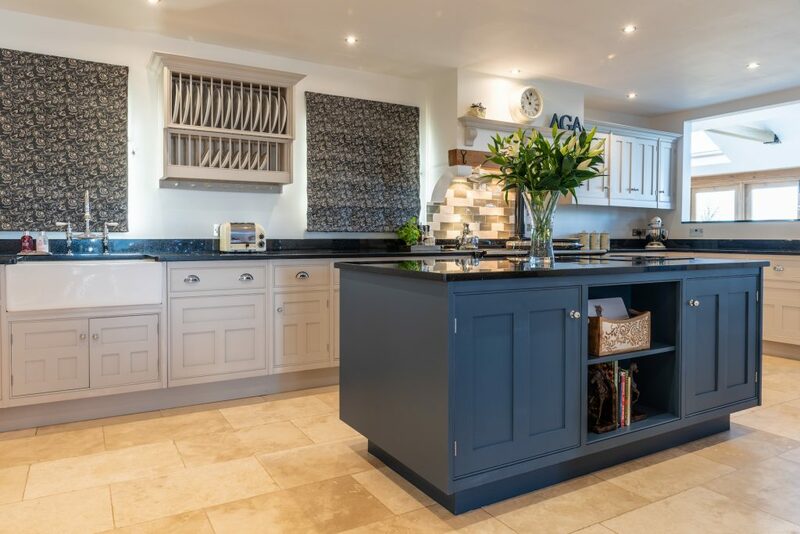 If you’re looking to design a kitchen that’s both contemporary and cosy, dark cabinets could be the way to go. Inky surfaces, like the ones in this elegant room, help to close in the space slightly and create a snug feel. If you’re going for a white worktop, contrasting it with a dark shade will have the most striking effect. Here, the gleaming marbled surface looks stunning against the deep-hued cabinets. Whatever the size of your project, you can rest assured that you’ll always receive the same exceptional finish. 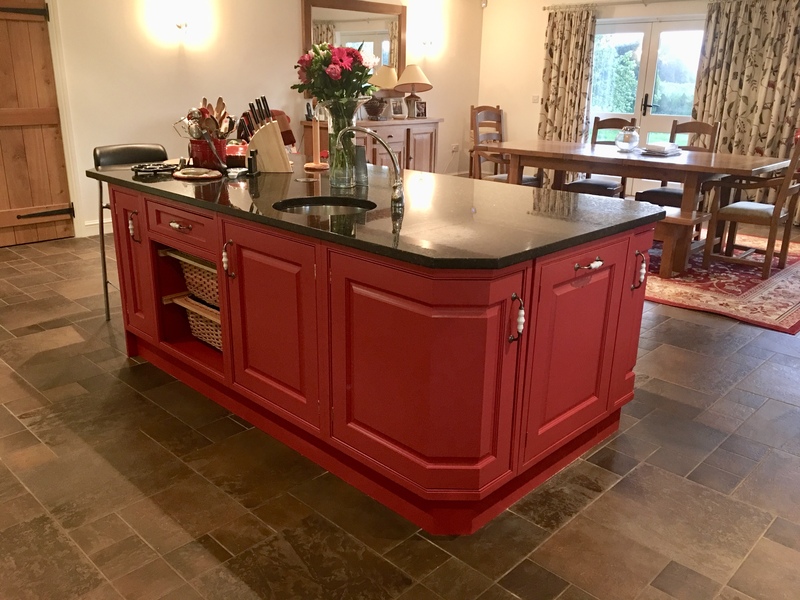 Lindsay is based in Bath, Somerset and covers surrounding Gloustershire, Wiltshire, Dorset and North Devon. 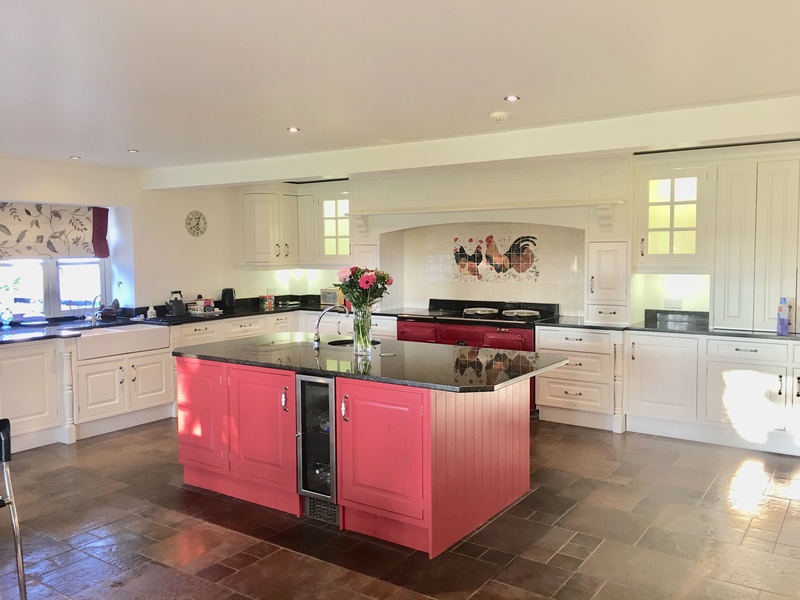 Start your journey to a beautiful hand painted kitchen or sprayed kitchen today and get in touch with Creative Chic to discuss your project or for a quote.